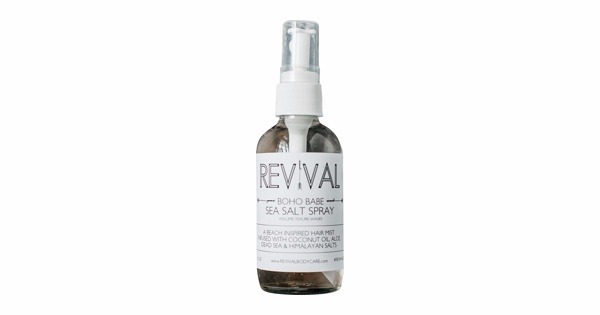 Revival Boho Babe Sea Salt Spray is a beach inspired hair mist. There is so much goodness mixed up in this beautiful bottle! If Beachy Waves & Windswept Texture are your goal, look no further! Coconut Oil and Aloe will deeply nourish and hydrate your locks. 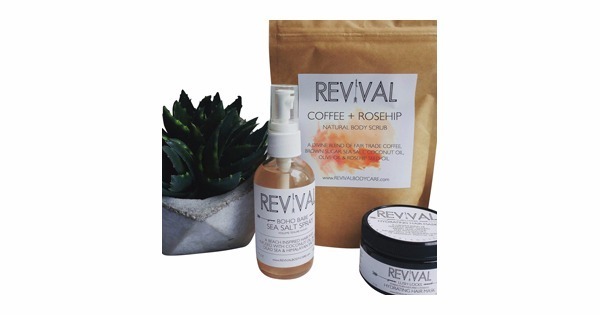 Dead Sea and Himalayan Salts are loaded with minerals and will leave you feeling like you just left the ocean. Grapefruit Essential Oil helps to treat dandruff and promote healthy hair follicle. It also treats oily hair and promote shine. Shake bottle well and evenly spray on damp or dry hair. Style with fingers or brush to create a tousled, windswept look. For added texture, scrunch or twist sections of hair while air drying or blow drying with a diffuser.